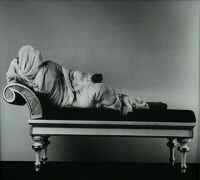 During a recent artist-in-residence appointment at the American Academy in Rome in 2000, Nimoy produced a series of images based on the Antonio Canova sculpture of Paulina Bonaparte Borghese in the Borghese Gallery in Rome. 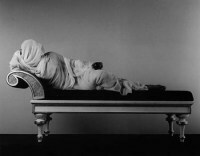 Nimoy’s challenge was to translate the sensual impact of marble and a somewhat steamy back-story into his photographs. Paulina Bonaparte’s brother, Napoleon, commissioned this sculptural portrait. 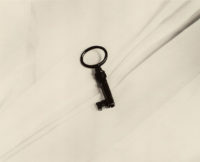 However, her husband was dismayed by its sensuality, so he concealed it under lock and key so it could not be viewed. During his stay in Rome, Leonard Nimoy decided to photograph the key to his suite cabinet as his comment on the censorship of Paulina’s husband.